Jeep Wrangler JK Factory Fender Flare Kit. Provides the clean look of original equipment design. 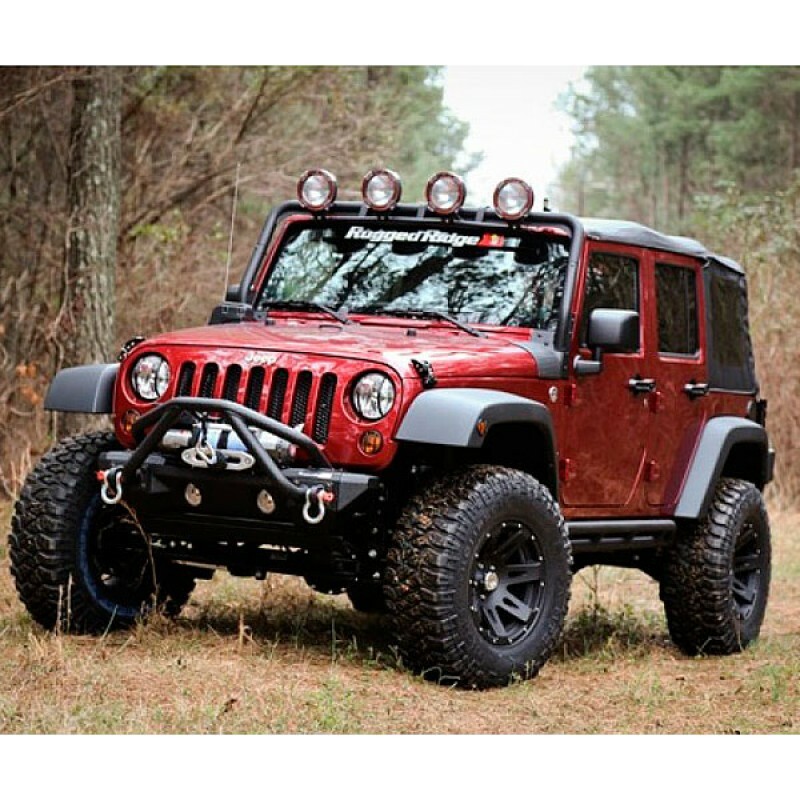 Kit includes: Front and Rear Factory Replacement Fender Flares with mounting hardware. Hardware kit has 22 plastic fender flare push retainers, 24 fender flare blind rivets, and 34 T-style fender flare rocker clips. Fits: 2007, 2008, 2009, 2010, 2011, 2012, 2013, 2014, 2015, 2016, 2017, 2018 Jeep Wranglers JK All Models. Omix-Ada OE Style Fender Flare Kit protects your Jeep from rock chips and debris. Each oversized flare is constructed of virtually indestructible UV-treated thermoplastic to provide years of service. The special UV treatment put on each flare provides protection from sun fading.